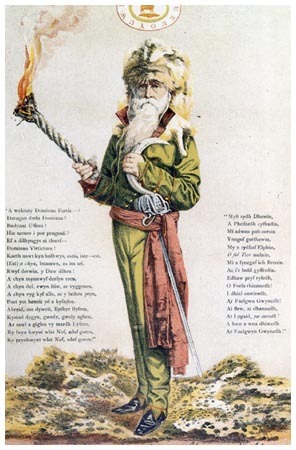 Chartist, heretic, arch druid and pioneer in the legalisation of cremation, Dr. William Price was undoubtedly one of the most flamboyant and indeed eccentric characters in Welsh history. 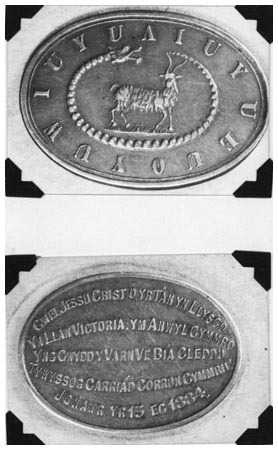 Born in Rudry near Caerphilly in 1800 and the fifth child of Rev William Price, he was an apprentice to a local surgeon at the age of 13 and later studied at St Bartholomew's Hospital, London where he was made a Licentiate of the Society of Apothecaries and a Member of the Royal College of Surgeons before turning 22. 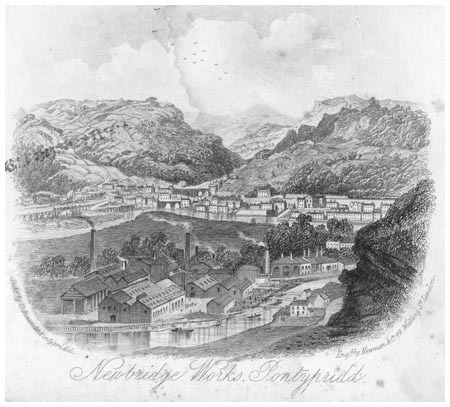 In 1827 he moved to Nantgarw and became the surgeon for ironmaster Francis Crawshay, practising medicine at the Brown Lenox chainworks where he allegedly performed one of the first skin-graft operations on an injured worker. Dr. Price was ever in and out of the courts, both as a defendant and petitioner. He was charged with the manslaughter of a patient and had his father's body exhumed to prove mental illness. Possessing an extensive knowledge of the law, and draped in a shawl of royal tartan, he would conduct his own defence brilliantly to the crowded gallery. He was a leader in the failed Chartist rising of 1839, condemning any brute force used by fellow leaders and, dressed as a woman, was obliged to flee to France. 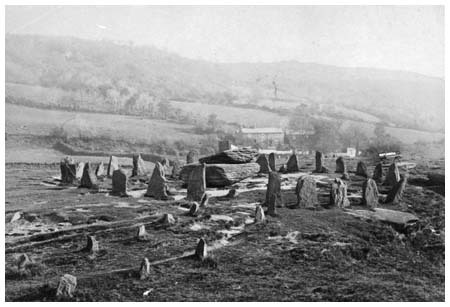 Proclaiming himself Archdruid of Wales he regularly held druidic ceremonies on the site of the Rocking Stones, Pontypridd. With a deep interest in the well-being of the local people, he established one of the first Co-Operative stores and also formed an embryonic National Health service for local workers – but would refuse to treat smokers! Dr Price went on to build the famous Round Houses at Glyntaf, Pontypridd as an entrance to a planned stately home and museum to druidism which failed and when rejected from the land by owner Lady Lanover, the time was right to leave the market town altogether. 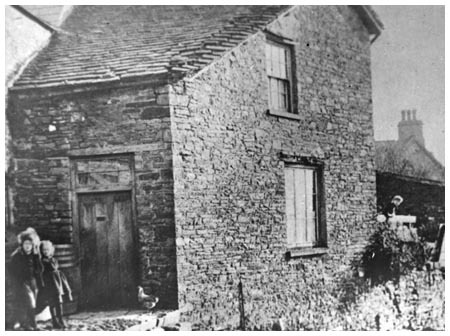 In 1873 he settled in Ty'r Clettwr, Llantrisant, joined by his 16-year-old housekeeper, Gwenllian Llewellyn who gave birth to their first child, named Iesu Grist (Jesus Christ) in August 1883, when the good doctor was 83-years-old. 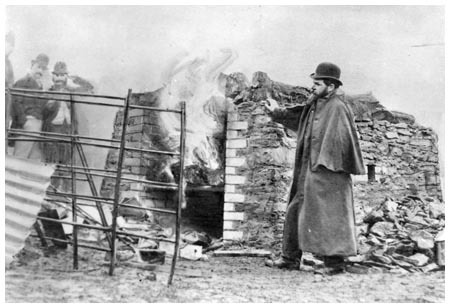 The infant died suddenly on January 10, 1884 and Price took the body onto the hilltop of East Caerlan where he cremated it in a container of paraffin oil. This 'vicious act of blasphemy' caused a riot in the town, and crowds led by chapel deacons, dragged the corpse from the flames as the 'blasphemer' was arrested. The criminal trial that followed aroused interest not only in England, but throughout the world. In March, he conducted his own defence brilliantly at the Cardiff Crown Court trial over his son's cremation, a typical showman who played to the crowded gallery, claiming, 'It is not right that a carcass should be allowed to rot and decompose in this way. It results in a wastage of good land, pollution of the earth, water and air, and is a constant danger to all living creatures.' Justice Stephens, paving the way for the passing of the Cremation Act of 1902, by acquitting him. His own cremation, for which he left full instructions, took place on the same hilltop; with 20,000 people assembling to watch the iron coffin set alight. A carnival atmosphere prevailed and the twenty or more pubs in Llantrisant ran dry during the height of the day-long festivities.